sorry, i know everyone hate these - whats it worth? 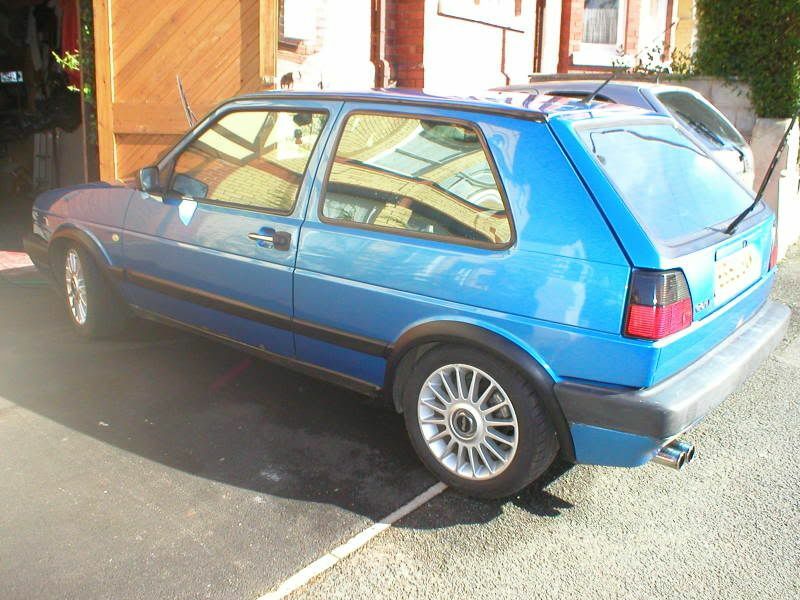 right, at the moment - im looking at just getting a car thats fully reliable-comfy, and reasonably quick. 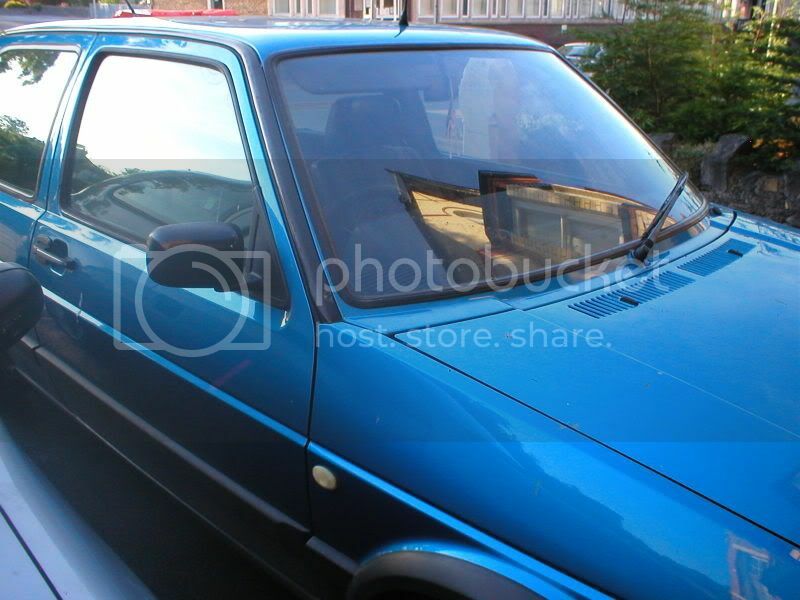 so im thinking of getting a car a mate has offered me - and getting back on the dubbing scene later on when i can afford it. - and have the space! this is it when the paint work is polished up! since ive had it the only thing ive done is put a new engine/gearbox in. the gear box is fully reconned, and has since done about 600 miles , though it really really needs some new selector rod bushes! an audi ACE 2.0 block, fully rebuilt with genuine parts, reground crank, weight matched rods/pistons, lightend and balanced and knife edged crank, and flywheel, some sports clutch. the block had done 14 thousand miles since its rebuild- so is barely run in for a vw engine! the head i strapped to it i baught as "reconned" so i put it right on- though i think its loosing oil somewhere. so could do with having it off and taking a look. the head is ported and polished, with KR cams. i have set up this engine to the best of my abilities, so it could do with getting profeshonaly set-up/tuned. - or do it yourself if your in the trade. it has a full magnex system on it with a 4 branch, though is it blowing - and rattling on the chassis. so that could do with sorting. the interior is out of a cl or something - not grate! if im honest! lol. but its only 50 quid for a standard 16v set-up in reasonable nick. 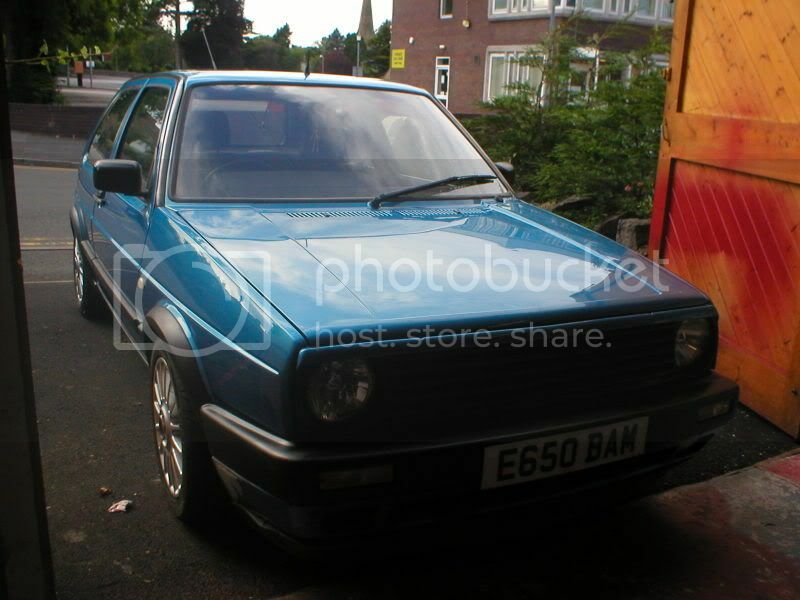 its an E reg, think its 87? 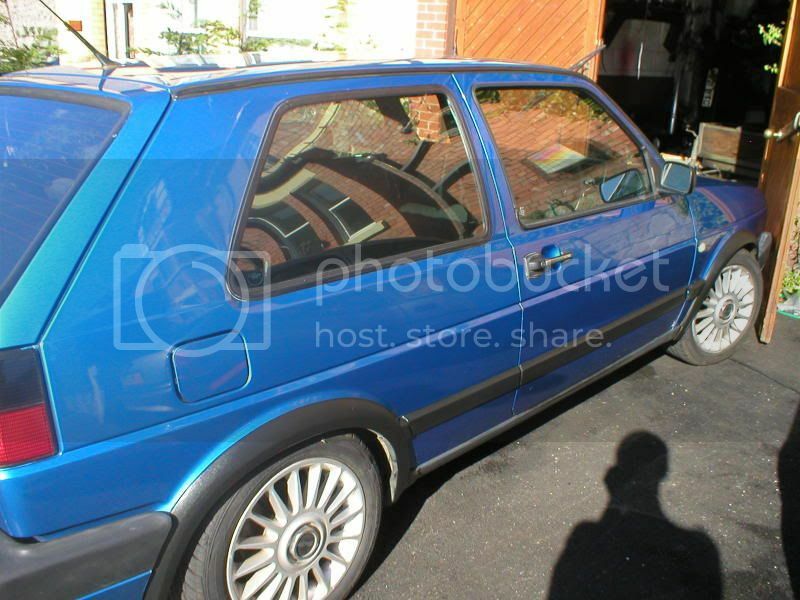 so has the pre 90 spec trim on the outside, but i will be taking delivery of some 4 week old arches/skirts/door 90 spec trim. the wheels are unknown.. i have 5 of them, but one has reacently got a puncture, unfixable. 3 of them have only a few thousand miles on so grate tyres. there is that patch of surface rust on the back below the boot lid, that seems to have been treated but needs doing properly with that part respraying really. theres a problem with the oil and water warning lights and the enging temp gauge, i think its either the loom or the clocks.. they randomly come on and off. but the oil temp gauge on the mfa thingy works fine. the shell has done 135000 approx miles. not really sure what else i can say..
just wondering what people would pay for it? has mot for a 4-5 months yet, and tax runs out at the end of feb.
any critsisum welcome... not botherd weather you have anything good/bad to say - any feedback is good feedback. - go wild. 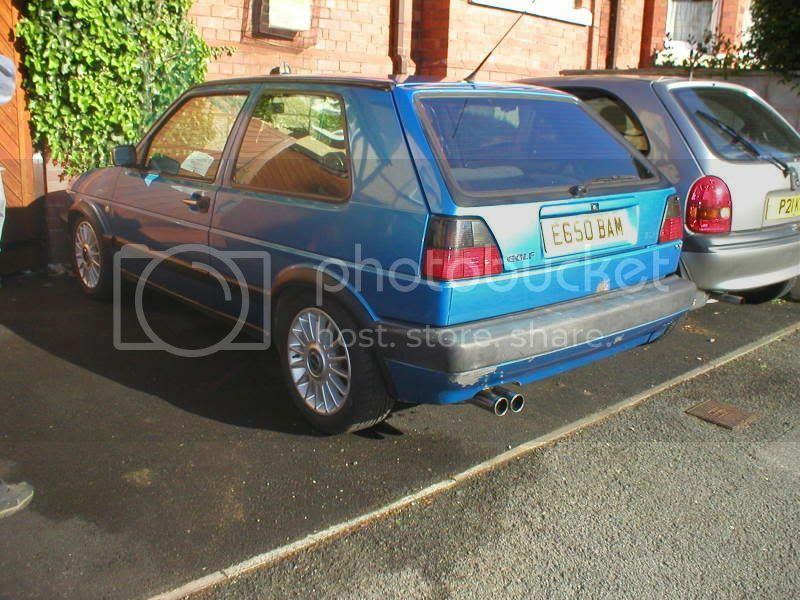 to sell that with so many negatives i reckon £350 - 450.
but in parts ???? i reckon you could get about 900ish maybe more. aye, i was thinking breaking it would get me more - the engine block alone is worth a shed load. - and the gearbox , with 100k on they still seem to fetch 90 - 100 quid, this has about 600! do you have an invoice to back this up - would help shift it quickly. 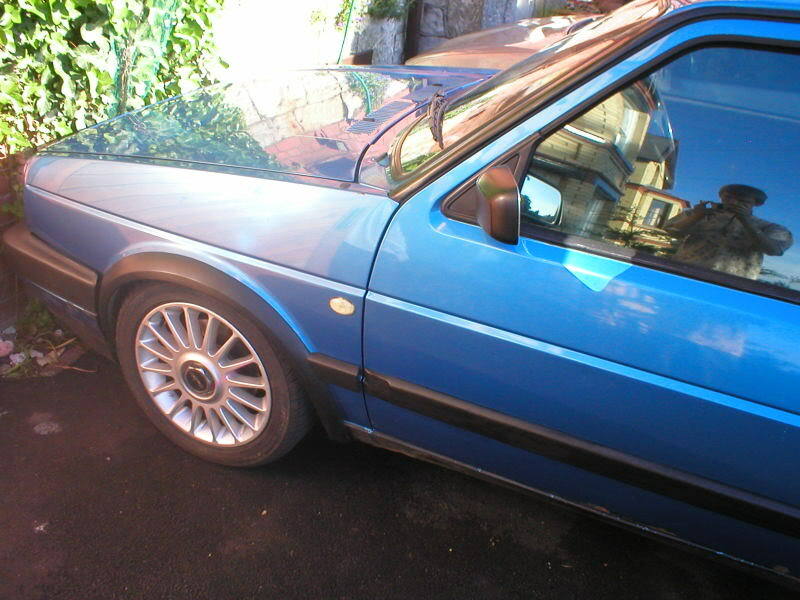 sadly not - got it off a gearbox technition of 10 years, from somewhere round banbury.. afraid my word would have to do. re ar beam (arb), £15? rear lights, £20? these seem to go for up to 35 on the bay. parcel shelf suports, carpeted, intact clips, £20 - normally go for more on the bay. glass? £5 -what ever i can sell of it. all 3 engine mounts- under 1k miles on them. gotta be worth £15 for the 3? sadly, i think i could definately get more money for it if i broke the car. lol, aye. there big bumpers. and not sure on the exhaust, but if i end up breaking it (which sadly i properly will) then i'll find out the bore of the exhaust. sadly if yor after as much as you can get breaking in the only way - and tbh id research the prices of stuff as your guides have some real bargains lol. i suppose the gearbox, exhaust system and electric window set-up could go for more. Subject: Re: sorry, i know everyone hate these - whats it worth?